Every year more and more species of orchids are being discovered. And recently 10 new species were added to over 35,000 verities of these amazing plants. In Costa Rica alone where orchids are a huge part of their flower industry, they have over 1,300 species to date. It is one of the top destinations for tropical weddings where these colorful and exotic flowers become a part of the celebration. Those 1,300 species make up 7% of the world’s orchid population. And just recently another 10 new undiscovered species had been found near the border of Costa Rica and Panama. The University of Costa Rica’s Lankester Botanical Garden in Cartago was the organization that discovered these 10 new species. They were found on a government protected area known as Las Tablas in San Vito de Coto Brus. Experts say the region where the new orchid species have been found is very rich in terms of plant diversity. The reason why these orchids were not discovered before is because that region has not been explored in the past due to lack of access. 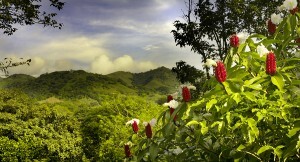 Experts also believe that Costa Rica has more undiscovered orchid species. One reason is because the newly found species were only found on a four-hour expedition on a land of three square kilometers. Think if they would spend more time exploring the area, surely more species will be found. There are actually more recent orchid finds that have not yet been confirmed to be new species because of the process they must undergo in orchid research. First to prove the discovery, they must be compared to the existing species, which can be difficult because they are very fragile due to their small size. Aside from having orchids as Costa Rica’s national flower, the purple Guaria Morada, commonly known as the Cattleya Skinneri, the country’s wedding industry depends on these flowers too. According to wedding planners in their country, orchids are the top most favorite flowers to use as centerpieces and decorations in tropical weddings. Flower arrangements made up of orchids sell for as much as $3,500. According to scientists, these new orchids found were a product of a system created by the University of Costa Rica. This technique was actually in existence for about 10 years now. Because of this system they were able to have a greater understanding of the biodiversity of orchids in their country. Compared to before, they did not have any way of acquiring information, expertise and knowledge about these extremely exotic plant species. Each year more and more species of orchids are being discovered. I hope that as the orchid types grow, so will the appreciation and conservation for their beauty. What do you think of these newly discovered orchids? Leave us a comment below. It’s amazing how new orchid species are still being discovered regularly.